Sometimes you meet people and you just click, instantly. The moment Lauren and Davy arrived on my doorstep for their first consultation with a cactus I knew we'd have a blast, we ended up chatting for hours over coffee and mutual love for our pets. These two had opted to include an pre wedding photoshoot into their wedding photography package to calm the "I feel awkward nerves" and get a feel for how I work : You can check it out at this post! 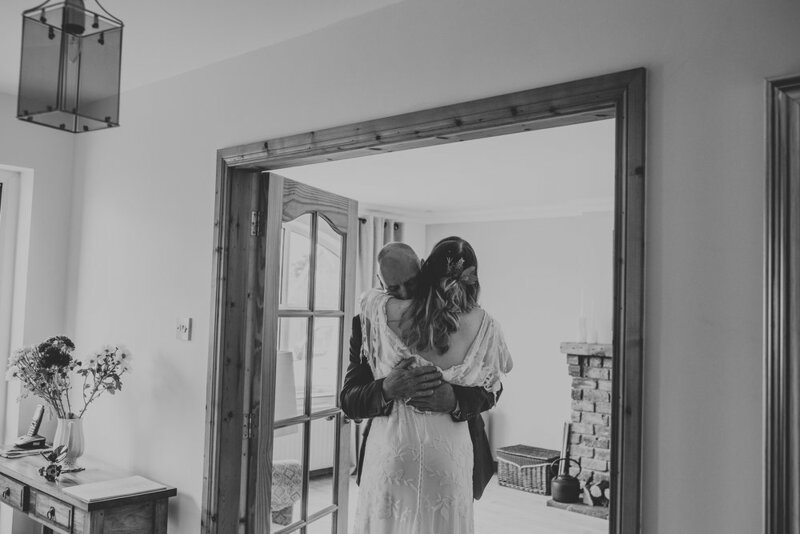 Lauren & Davy's wedding was featured over on Boho Weddings back in January, but I wanted to use their wedding to test out a new product that I will be adding to my wedding package! So sit back, grab a cuppa, turn the sound up and enjoy the Graham's highlight reel! 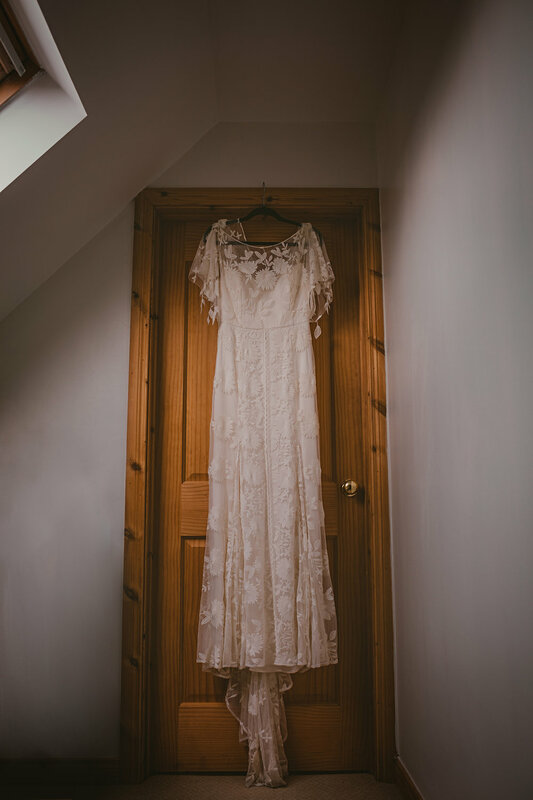 Lauren & Davy got married last September in Field of Dreams, which is a beautiful unique wedding venue and outdoor retreat just outside Bangor surrounded by lakes, fields and a beautiful Scandinavian building. They had their ceremony in the marquee on site, finishing with all the guests singing “ Hey Jude”! They chose Field of Dreams, because of its open space and natural surroundings, which suited their boho vibe so well. It was a festival themed wedding, which meant lots of awesome DIY elements, gorgeous food and hilarious activities. I love shooting weddings at Field of Dreams because the owners are just amazing, there is so much to do and the photo opportunities are endless with so many hidden spots. It’s actually one of my favourite venues to shoot at – to the point that Mr Beardy and I have booked it for our own wedding in June! I hung out with team bride as they got ready at Lauren’s parents house, it was a super chilled out morning and I was treated to cuddles with Lauren’s pride of joy bunnies. Mr Beardy hung out with team Groom in Davy’s childhood home, which was full of memories from when he was little . The boys drove to field of dreams by themselves and Lauren was driven in the cutest most retro VW camper van I have ever seen! Lauren and Davy made sure that their guests were well entertained, providing games that took me back to my childhood, clay pigeon shooting with the owners and a super cosy fire pit that would be lit later in the evening. The great thing about the ceremony and reception being at the same venue, meant that everyone was able to get straight to the congratulations and enjoying the festivities, and we didn’t have to travel far to go for their couple portraits. They decorated the venue with lots of rustic natural elements, super adorable nods to their life and relationship and I loved that they used their favourite novels and foliage as their table centre pieces . 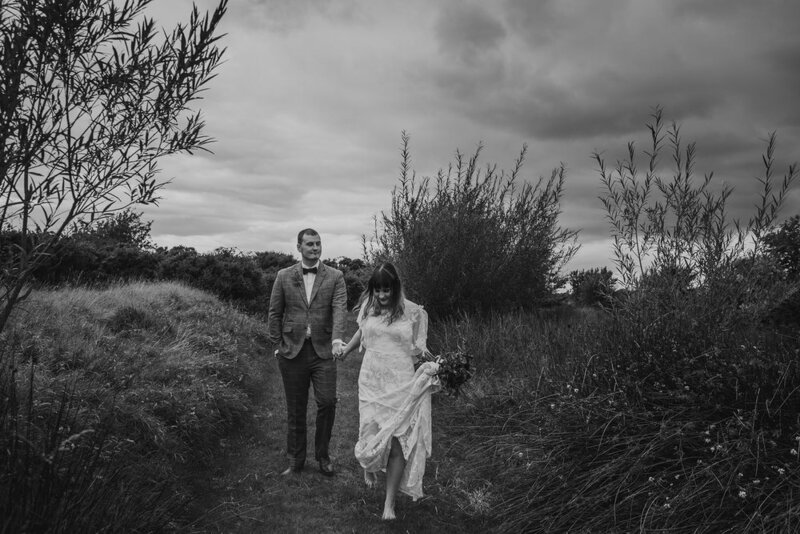 Lauren wore the most stunning lace dress by Rue De Seine from The White Gallery and Davy wore a tweed suit from Cavani with a dickie bow, they looked so incredible and I might have shed a little tear when I saw Lauren in her dress for the first time ( shhh!) . Lauren’s shoes were wedge’s as she knew she would be outside a lot, but this boho babe quickly kicked them off for some epic barefoot bride photos! The button holes were super rustic and fitted the theme beautifully as did the hand picked flowers from a friend’s Garden, so many people pitched in with their individual talents to making this wedding pop, Lauren’s mum even made the cake! Lauren & Davy had some great words of wisdom for other couples planning their wedding, if you are planning on going a more untraditional route and doing things differently then remember that weddings don’t have to be a certain way! It’s your wedding , it's about you two so do whats important to you! Being surrounded by the people you love is what matters at the end of the day. Planning your own Boho Wedding? Get in touch I'd love to hear about your plans!